Ready to explore some of India’s most beautiful, relaxing corners? It’s time to go on a botanical tour of the Subcontinent. 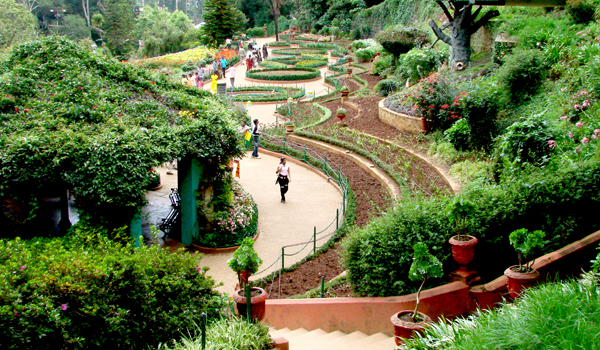 We’ve handpicked five of the most beautiful Indian gardens to guide your floral explorations. From sprawling botanical creations and parks with 15th century landmarks to rose gardens, cactus gardens – even sculpture gardens – here’s where to indulge in a beautifully tranquil spell in the fresh air. Set amidst gorgeously green tea plantations and scenic, rolling hills, Ooty in Tamil Nadu is already a perfect destination for those after a natural retreat. But for a true garden oasis, be sure to visit the city’s Government Botanical Gardens. Set across 55 acres, the terraced garden was first established in 1848. Today, it offers visitors the chance to wander amidst rose gardens, discover the public conservatory, seek relaxation in the arboretum and otherwise admire the more than 1,000 plant species on display. Located along the Kaveri River in southern Karnataka, Mysore’s Brindavan Gardens are among the most beautiful Indian gardens of all. Designed in the Mughal style, the symmetric gardens are spread across three terraces, and feature colourful flowerbeds, gazebos, fountains, and other scenic elements. 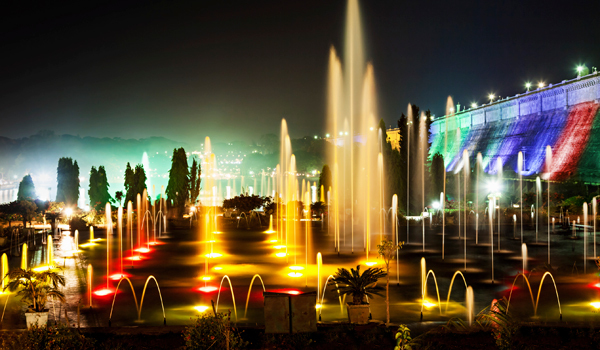 If you’re after an extra dose of showmanship, be sure to visit the Brindavan Gardens in the evening as well, when the popular illuminated fountain performance is held. 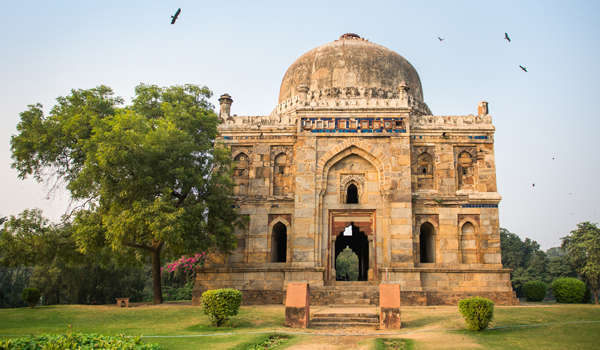 Within the chaotic heart of Delhi, the Lodhi Gardens offer visitors a touch of paradise. Spread across 90 acres, the park is a popular oasis for locals seeking a peaceful pause, but the Lodhi Gardens are also home to some of the city’s most treasured architectural landmarks. 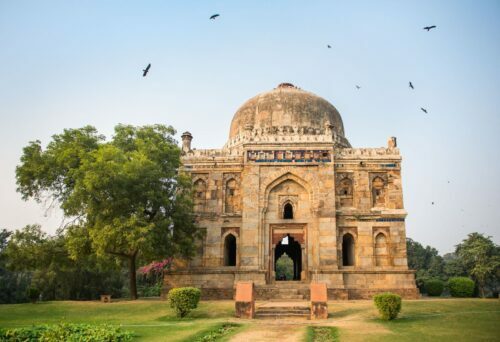 A number of tombs of Sayyid and Lodhi rulers, dating as early as the 15th century, are dotted across the greenery, of which the Bara Gumbad and Shisha Gumbad are two of the most celebrated. The garden’s lake – crossed by the arcaded Athpula Bridge – is another must-see for park visitors. 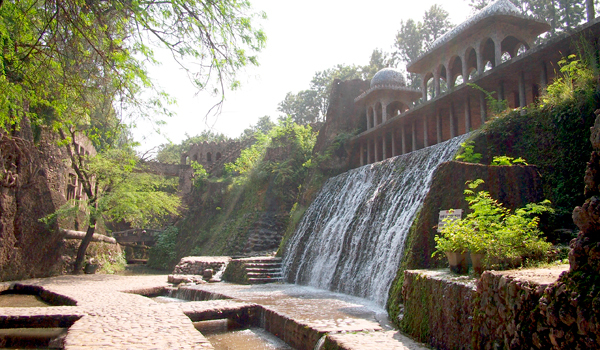 It’s no wonder that Chandigarh is known as The Garden City of India – it hosts a number of famous green spaces. The Nek Chand Rock Garden is a one-of-a-kind landmark that blends open-air sites with sculptural art, while the city’s Rose Garden contains a staggering 50,000 plants. Then there’s the Botanical Garden, Cactus Garden, and the 100-acre Pinjore Gardens. And beyond the gardens, it’s worth knowing that the city of Chandigarh, capital of both Haryana and Punjab states, was famously designed by Le Corbusier – it’s certainly not short on visual splendour. Completed in 1943, the colossal Umaid Bhawan Palace in Jodhpur has the distinction of being one of the world’s largest residences. Home to the Jodhpur royal family, a heritage museum, as well as a Taj hotel property, it’s a striking landmark in its own right. And for the green-fingered, it offers one further enchantment: one of the most beautiful Indian gardens. 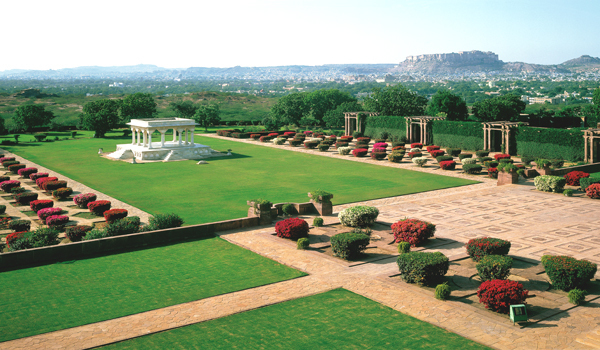 Comprising 15 acres, the manicured gardens are the perfect place to soak up the Rajasthani sun – while also admiring views of the famous Mehrangarh Fort in the distance.